REDDING, Calif. — Simpson University has been ranked 20th in Best Value Christian Colleges and Universities, out of 50 institutions listed. 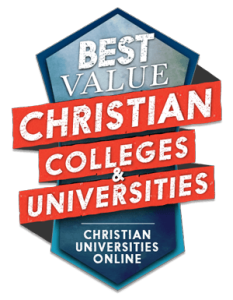 The ranking was done by Christian Universities Online, an independent resource for students and families researching Christian higher education. The site publishes rankings and reviews of the best Christian colleges and universities, and information about scholarships and financial aid, among other resources. The “best value” ranking was based on data from the U.S. Department of Education’s National Center for Education Statistics and followed a methodology used by U.S. News and World Report. For more information, visit Christian Universities Online. Simpson University, established in 1921, is celebrating its 25th year in Redding, Calif. In October 2014, the university dedicated its new Science & Nursing Building. Simpson is a Christian university offering undergraduate, graduate, and teaching credential programs. Academic programs include ASPIRE, a degree-completion program geared toward working adults. Simpson is expanding its online course offerings, including degrees in psychology and organizational leadership. For information about the university, or to arrange a campus visit, call 1-888-9-SIMPSON or visit simpsonu.edu.